So as we near the end of the year, we thought we’d better take a moment to tally up the craft brewers in our neck of the woods. I apologize for the “local” nature of this list, but if you’re nearby, this may prove handy. Again, if I’m missing any that someone is aware of or in planning, please let me know. Have fun tomorrow night and be safe. Raise those glasses to toast the new year upcoming and allow me to emphasize and add a few “wishes” to this recent list of season’s hopes: LINK. ~ For more diversification of style, other than hops. As mentioned in the wish list linked above, too many breweries are producing a similar lineup, often emphasizing a full frontal hop assault. I like hops as well as the next guy, but my goodness, sometimes I don’t want to be hammered on hops, dry hops, high gravity hops, hop juice, et cetera. A nice session beer will do. There’s plenty of session IPAs coming out…but let’s see some other styles too. ~ For more German beer. I’ve often lamented that the U.S. examples of German styles is extremely limited. I would argue that many American consumers do not understand nor have they been exposed to the greatness of German beer. Their experience is imports – often not exactly frish or products of large, homoginized breweries – or from quick tours of Europe, where one is typically exposed to major players and less often to the small, family & craft brewers of the land. Trust me, a weissbier, pils, altbier, kölsch, or even a helles can be pretty awesome. There’s a world of lager within just waiting to be explored, prodded and tweaked. ~ For limited self-distribution for start ups and small breweries. Distribution is the big problem for many new entrants into the market. Even a metropolitan area is likely served by only a handful or fewer distributors. It’s a tough, tough path for newcomers and small players, particularly if money is tight. ~ For truth in labeling for beer. Consumers have a right to know who makes or controls their beer brand and where it comes from. ~ For more bottle shopsstocking more and more cooler doors with singles…at fair prices. ~ For proper glassware for each beer style. Rinsing the glass before pouring beer would be even better. ~ For an even better 2013. Cheers! Ironically, the next suburb further southwest, Hudsonville, is already home to two craft brewers, White Flame and Pike 51. I say “ironic,” because Hudsonville was a dry municipality until recently,whereas Grandville has been known as a commercial district for years, with plenty of bars & restaurants – although a wasteland when it came to craft beer. Best of luck to the Ozzies and we look forward to sampling soon! I mentioned this topic several months ago, but a recent article reinforces my view that the Reinheitsgebot and craft beer can work together. It’s funny to me how many people in this country will say “I don’t like German beer,” as they equate the style with lighter lager beers, or worse, North American macro brands. Many of these people, of course, have never set foot in Germany or sampled anything aside from the German mega-brands. As in the U.S., I’ve long maintained that the best brews are regional and produced by the small places. We’ve reviewed a few of them on this site (HERE, HERE), but there are many more (nearly all of which are not available in the U.S.), including wide varieties of Altbier, Starkbier, Rauchbier, Bock, Kölsch, Weissbier, Dunkles, Schwarzbier, Helles, Pils, Alster, Berliner Weisse, Dampf, Dinkel, Keller, Zwickel, Dunnbier, Einfachbier, Gose, Märzen, Shankbier, Eisbock and other styles. There’s actually tremendous variety if one knows where to look. If your “experience” with German beer is taken from the likes of Beck’s, Weihenstephan, Paulaner, Spaten, Früh, Bitburger, Erdinger, Hofbrau, Jever and the like, you’re missing out entirely. Of course, most of these are not providing a full frontal assault on the senses, like some U.S. microbrews, but the subtle differences and nuanced styles are there nonetheless and typically delivered with the highest quality and consistency. In short, there’s a world of fermented delight to be had, despite the conservative modern reputation, but there’s also room for more experimentation. My belief is that the quality – and more conservative attitute toward style – is a result of the educational system required for European brewers. In Germany or England, one needs a degree (schooling and apprenticeship) before becoming a brewer, much less brewmaster. In the U.S., anyone can slap on a T-Shirt and move from behind the bar or the basement homebrew kit to “brewmaster status.” The result is sometimes less consistency – and some awful misses – but also tremendous innovation in styles, techniques, flavors and profiles. As with most things, the future lies in ultimately blending both worlds. Here’s to hoping you find your favorite craft beer under your tree. Bestens an Weihnachtsabend und vielen Dank für eure tägliche vorbeischau. Alles güte und wir wünchen euch was! • I have a problem with the brands out there who hide who they are, including these folks: LINK, LINK, LINK, LINK …and many, many more. Be honest. Make a great beer and let consumers know who you are. • I have a problem with the lazy consumer, who refuses to try anything they haven’t tried before of or says something like, “I don’t like that dark beer” or “I’ll just have a Bud Light.” No one eats the exact same food every day…why would you drink the same beer every day? You won’t like them all, but that’s ok. Give ’em a few more tries. You’ll eventually thank yourself for finding something wonderful! • I have a problem with distributor who “sits” on a craft brand, unless it’s “on incentive.” If you promise to PARTNER with your brands, please do so. •I have a problem with bars and taverns with dirty beer lines and glassware, or try to use pint glasses with my 1/2 litre weissbier. Clean beer and proper glassware make the drink. • I have a problem with bartenders who bring me a frosted glass when I specifically ask for a warm one. It’s a simple request and it’s not “weird.” In fact, the frosted glass IS weird. 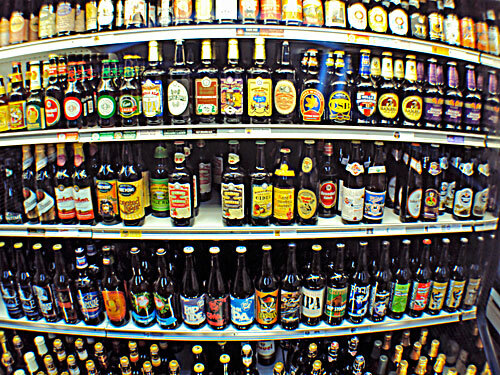 • I have a problem with beer stores who stock warm craft six packs sitting under bright lights and cram cold cans of Bud Light in the cooler. Pasteurized macro swill doesn’t spoil. Fresh beer does. Do you also wonder why no one buys your craft beer? 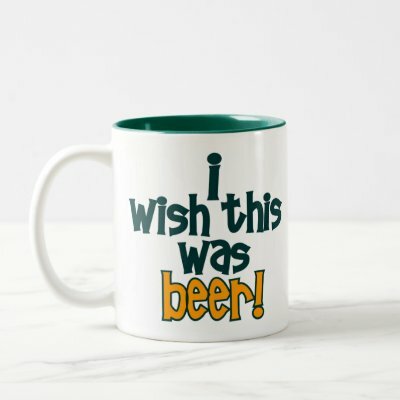 • I have a problem with silly expensive mug clubs in exchange for “$1 off a pint.” I sample all I can, but cannot justify $60-100 per year to places I cannot frequent more than several times per month. Make a couple levels of membership for people who want to show support and those who are truly regulars. It wouldn’t hurt to throw in a T-Shirt or gift either. • I have a problem with “limited release” beers that draw insane lines or ridiculous resale prices…for a beer. I love beer. No one loves it more than I do, but I’m not going to lose my mind over a single beer that is arguably no “better” than any other quality craft beer. Worse, the hysteria often proves to be very disappointing to your most loyal fans. • I have a problem with MADD, which has moved beyond “safety and awareness” to persecution of consumers who enjoy alcohol responsibly and are NOT the problem. “Alcohol related” is an entirely misleading statistic, used for political purposes to push an agenda and is not a reflection of tragedies actually caused by alcohol. The people who cause the vast majority of accidents are repeat offenders who are VERY intoxicated. Lowering B.A.C. laws to capture and prosecute more people who are NOT the problem is not making society safer. • Here’s to craft beer sales growth…cheers! • Here’s to Michigan craft brewers…cheers! • Here’s to West Michigan craft brewers…cheers! • Here’s to beer stores that rotate stock and keep “singles” coolers where one can try lots of different beers without purchasing an entire six pack. • Here’s to Mark Sellers, Bayern Road Trips, Larry Bell, Laura & Seth, Tony McGee, Great Lakes Brewing, Steve Sloan, Beer City USA, Angela Würges, collaboration, weissbier, EZ-E, Eddie Glick, Die Königen & Charlie Papizan…cheers! • My liver…which just turned 102 years old…cheers! Thanks to all of you for a fun year! As we near the close of 2012, I seriously want to take a moment to wish you the best, thank you for your comments, emails and feedback and look forward to an even more robust 2013. Enjoy the holidays and celebrate safely, my friends. Prost! Skol! Cheers! Na zdrowie! Saliente!